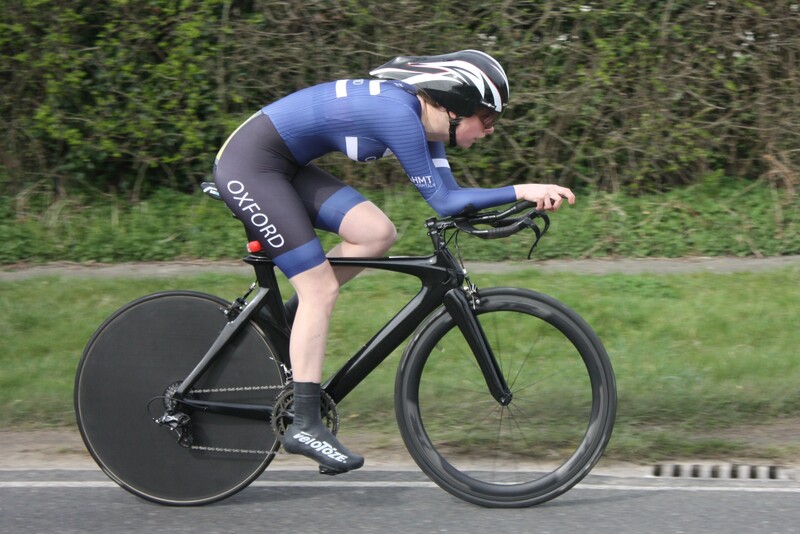 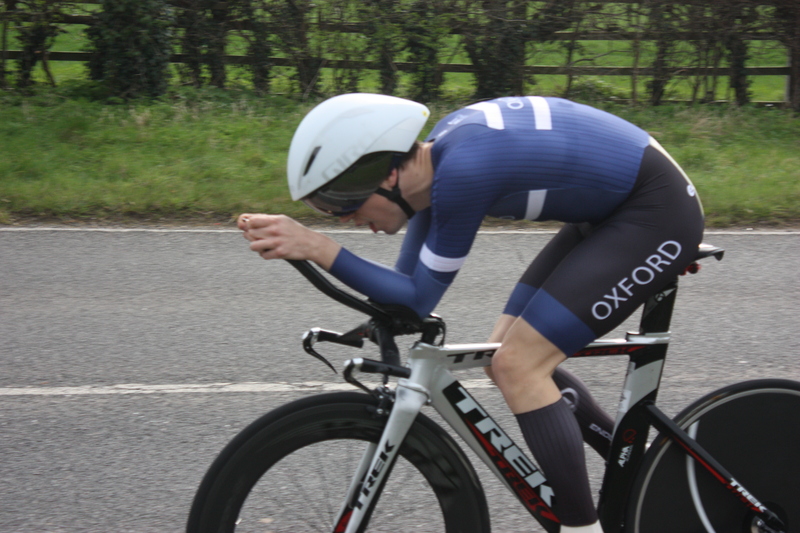 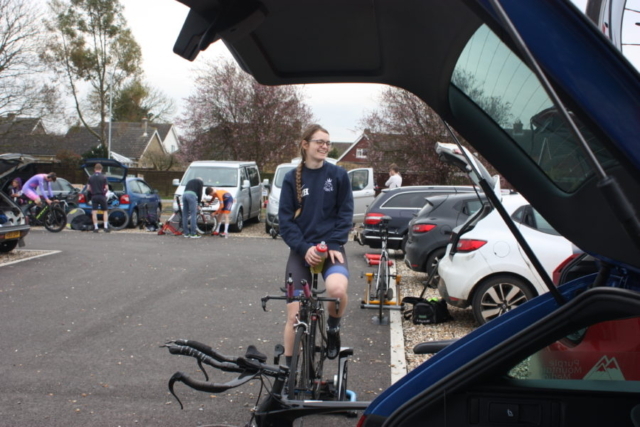 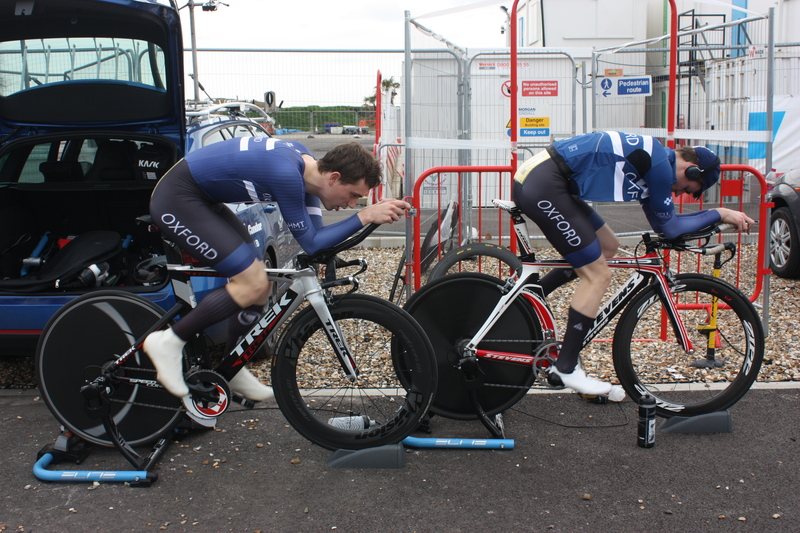 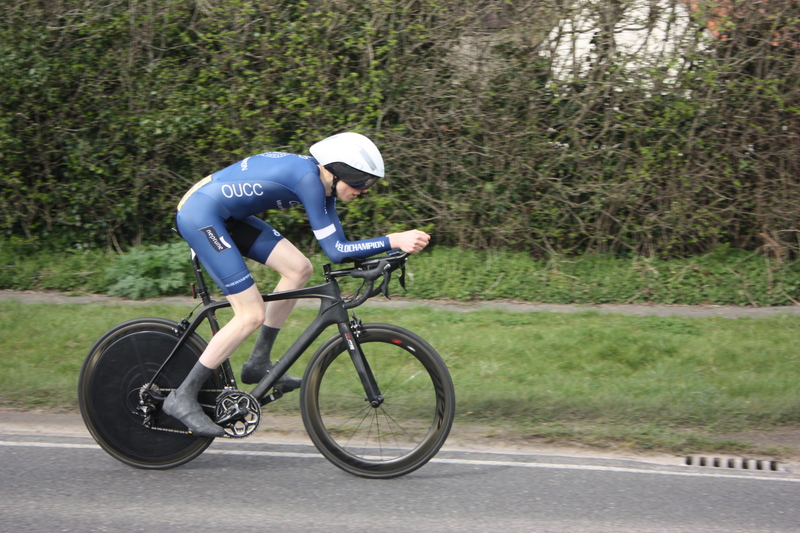 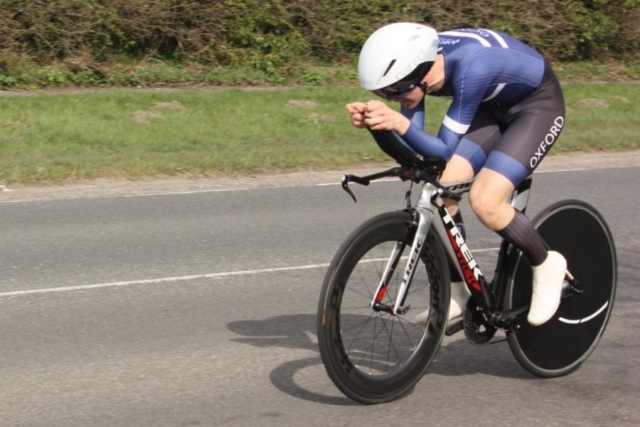 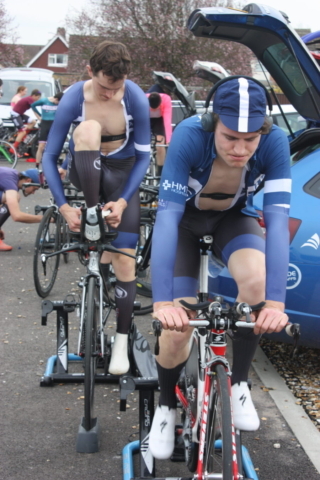 The British Universities and Colleges Sport (BUCS) 10 mile time trial championships were hosted by Cambridge this year. 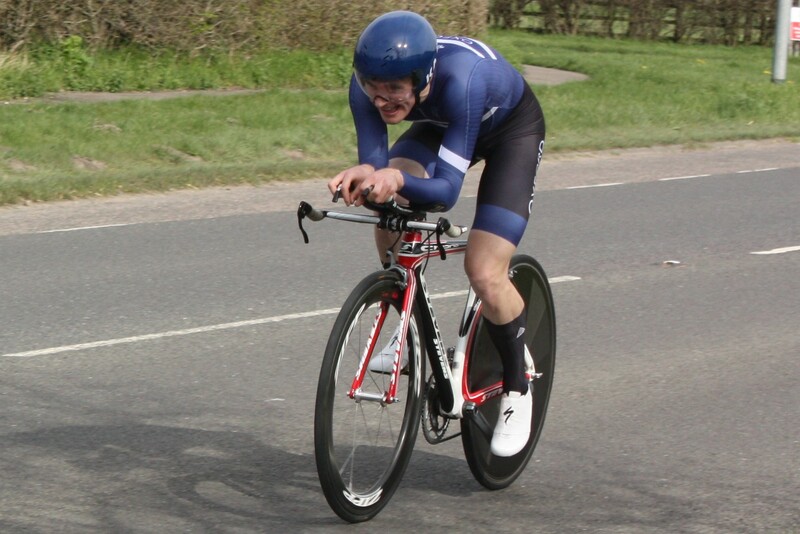 As ever, they used the E33/10 course in Bottisham (featuring the world’s biggest motorway bridge). 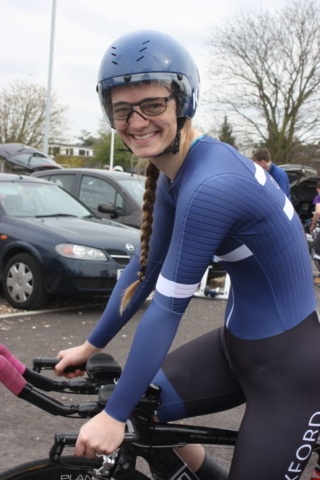 Light but occasionally gusty crosswinds made for not the quickest of days, but riders were nevertheless thankful for the uncharacteristically warm temperatures. 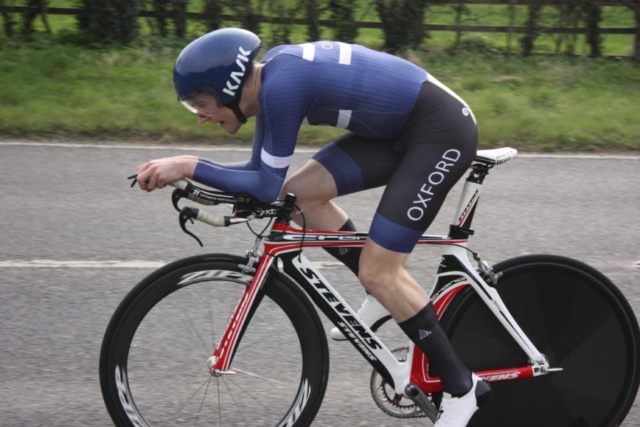 The key to the race was always going to be dealing with the early climb (motorway bridge) and then pacing the various drags in the remaining miles. 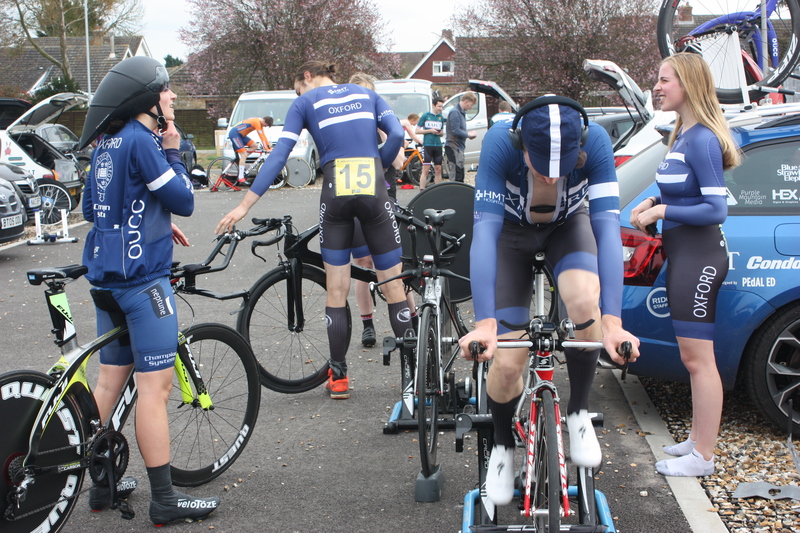 On the whole the course suited our squad reasonably well and we produced a number of good performances. As well as several new PBs, our quickest pair were Matt Kerin (with an impressive ride of 20:49) and Tamara Davenne (23:56). 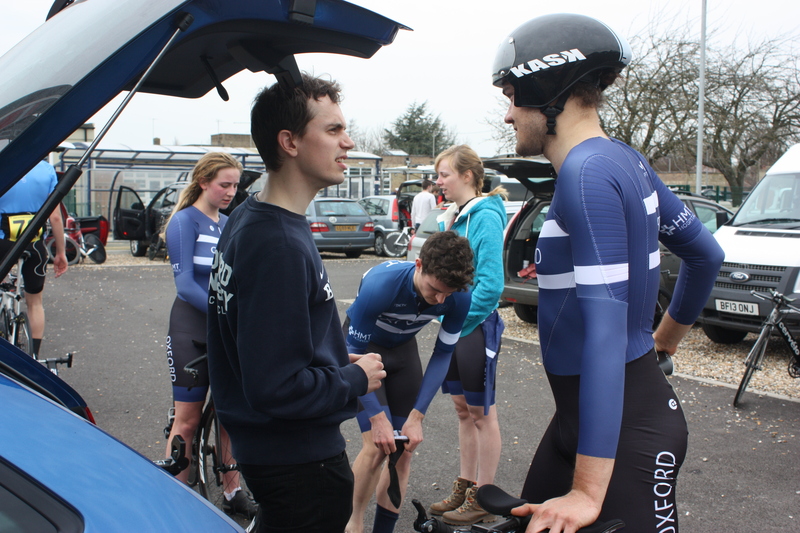 Being one of the later riders off, Matt felt that he benefited from insights into the course from a number of earlier riders. Useful snippets included “go hard or go home”, “it’s not very far”, “attack the first hill [4km] or you’ll leak time”, “don’t lose speed on the descent”, “go hard out of the turn [8km]”, “start emptying the tank early, maybe on the final drag [10-11km]”. Tamara was pleasantly surprised to enjoy racing a time trial again, a feeling the road race specialist has not experienced for some time. 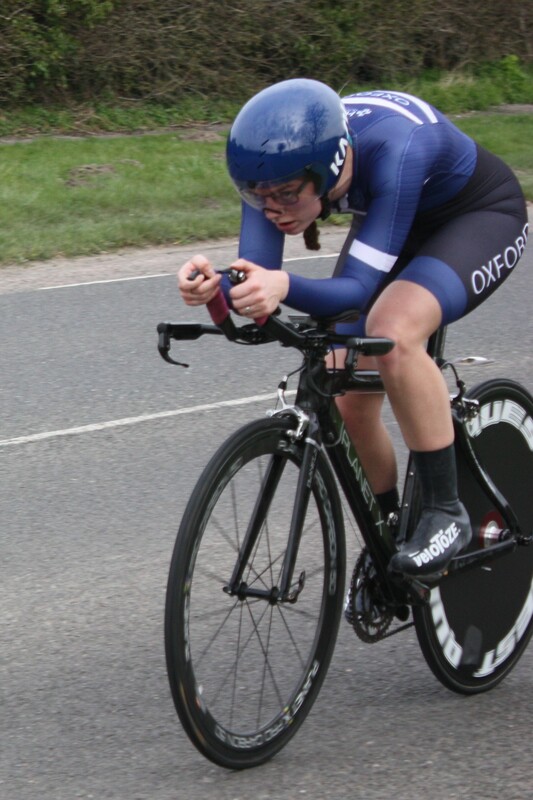 Once the dust had settled, the combination of Tamara’s time and Issy Dodd’s strong ride were enough to take the women’s team bronze medal. 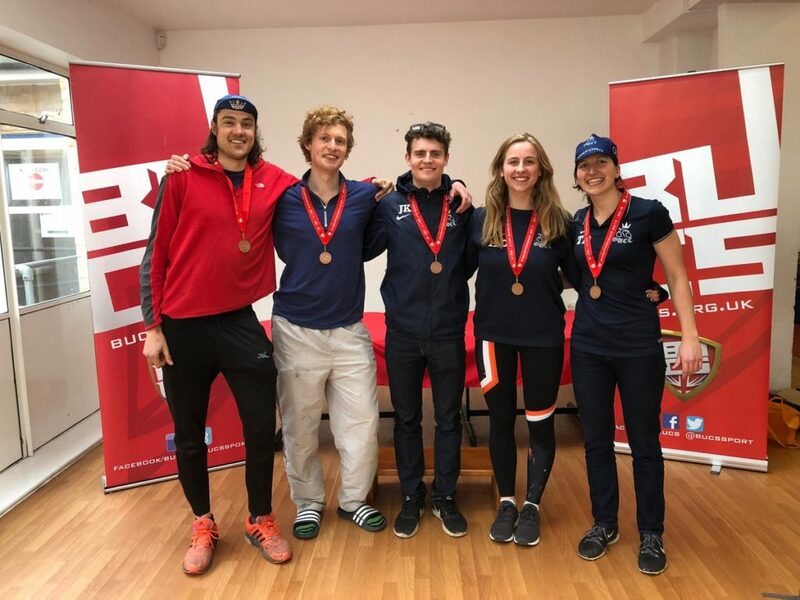 Similarly for the men, the efforts of Ollie Bent and James King, alongside Matt’s performance, secured another team bronze. 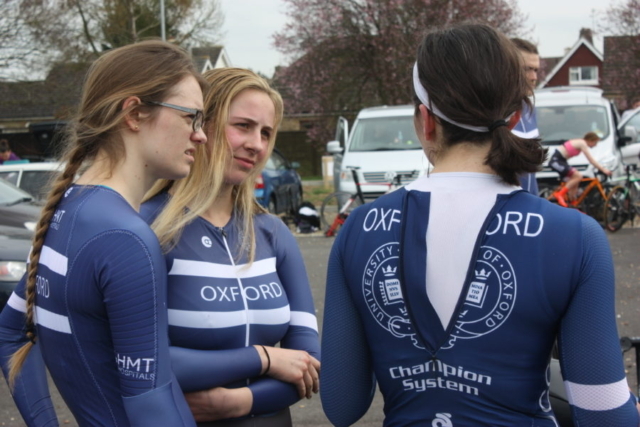 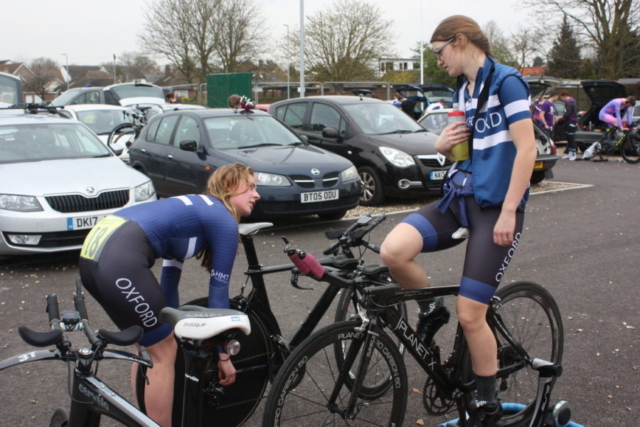 These team prizes are a fitting demonstration of the hard work and commitment that has been shown across the road squad, signifying the depth of talented riders at OUCC.